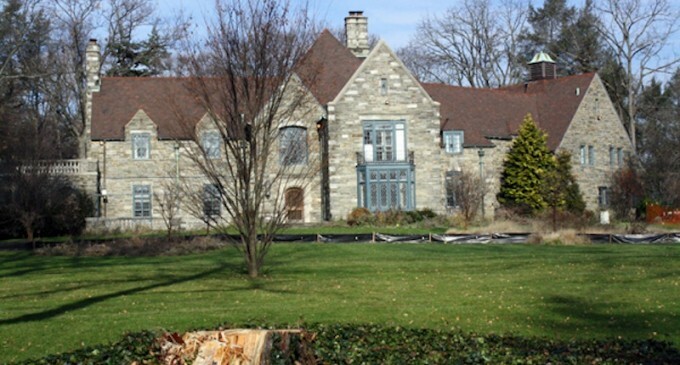 The owner of this grand stone mansion submitted a demolition permit back in November to raze the entire structure including two pool houses. He also requested a permit to construct a new, larger residence. The permits have yet to be approved by the Lower Merion Township. Owner, David Magerman, has begun stripping the interiors of the mansion at 117 Raynham Road in Merion. The company Pre-Demolition Sales has been brought in to remove cherry wood floors, stained glass panels, flagstone and detailed railings. 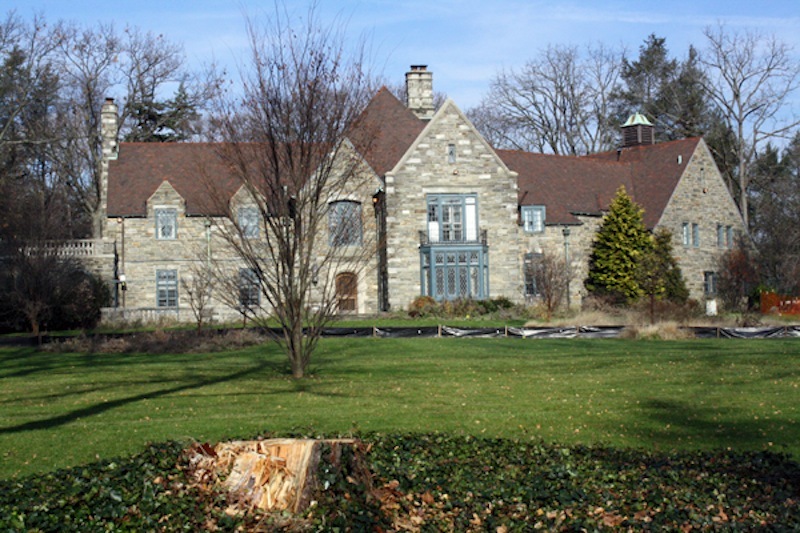 The previous owner, Paul Lee Newman, lived at the mansion since 1997 and neglected to designate it as a historical home. The house was assessed at $975,000 in 2011 and includes 3.57 acres.